In 2018, Sankalp celebrated 10 years of building entrepreneurial ecosystems across the world for business led inclusive development. 2018 was a year to celebrate and showcase entrepreneurs that have proven the long-standing narrative that businesses can have a demonstrated impact on some of the key challenges that the world faces and remain profitable and sustainable. 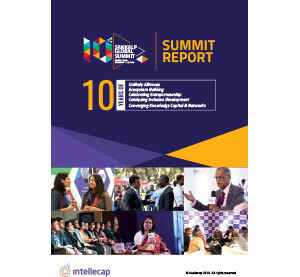 The agenda for the two days of the Summit were curated around the needs of entrepreneurs; building on the Aavishkaar-Intellecap’s group mission to foster an ecosystem of knowledge, capital & networks to help scale enterprises. We deep dived in to five thematic knowledge areas of financial inclusion, clean energy & climate change, agriculture, WASH & gender. Some of the unique aspects of this year’s summit were the diverse participation – in particular from mainstream private sector and financial inclusion in the region. Mainstreaming the development agenda to be more inclusive has been a priority across our work and it has been demonstrated through the speakers, participants and the outcomes of the summit. Reflecting on the last ten years, progress in this space and impact can be seen by the growth of enterprises. Our opening plenary showcased four such dynamic enterprises that have become multi million dollar companies, impacting millions of people in underserved areas. The Summit Outcome report highlights key insights from the 40+ discussions, conversations with our participants, and the summit’s outcomes. We can achieve the Sustainable Development Goals by 2030 through business and we hope you will continue with us on Sankalp’s journey of building a thriving ecosystem to support this. The entrepreneurial ecosystem in East Africa is young, and incredibly active. Yet, it is fraught with challenges that entrepreneurs face on a daily basis as they launch their businesses. 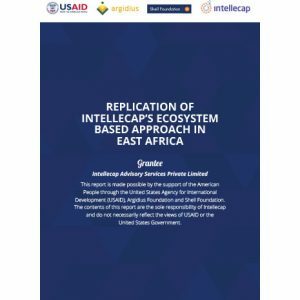 The landscape in East Africa validates the ‘ecosystem approach’ that Intellecap takes – bringing together Capital, Knowledge and Networks. These three factors are inextricably linked and critical for the success of any entrepreneur – seasoned or young. Sankalp Forum is a multi-stakeholder platform focused on growing the entrepreneurship economy in emerging markets by channeling support to entrepreneurs and innovators. 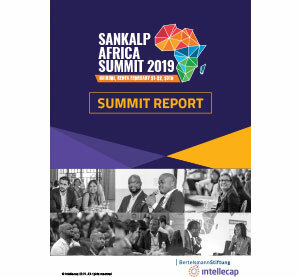 The Sankalp team has successfully organized 6 regional summits in Africa with 1100+ delegates attending the latest edition including government leaders, corporations, investors, entrepreneurs and innovators. Launched in 2014, the annual Sankalp Africa Summit intends to support the regional SME ecosystem and build a transfer corridor with other emerging markets in the Global South. Entrepreneurs remain at the core of Sankalp Forum, and each year through the Sankalp Awards, we source, screen, and support high potential enterprises in their capital raise. As the entrepreneurship agenda gains popularity from an ever-increasing base of stakeholders, and the space gets more crowded, these stakeholders and the entrepreneurs they support begin to rub shoulders and step on each others’ toes without even knowing it. Many stakeholders have commonalities and overlap in their entrepreneurship agendas, but may never realize it. How effectively are such programs delivering value to entrepreneurs, customers, and beneficiaries? How much redundancy could be alleviated if these stakeholders worked together instead of in parallel? What efficiencies could be improved by aligning agendas across different stakeholders? What insights could be gained from seasoned veterans in the space, like impact investors, accelerator programs, and entrepreneurs themselves? As we continue to work towards achieving the Sustainable Development Goals, it is more important than ever that we work in tandem instead of independently to amplify each individual’s contributions. The 2019 Sankalp Africa Summit brought together all these different types of stakeholders with the objective of building an enabling ecosystem for entrepreneurship. Our upcoming Summits look forward to helping align stakeholders and provide a platform where unlikely alliances can take hold, and their collective impact can be amplified. This white paper seeks to articulate the impacts of connectivity and propose a framework of financial, social and economic key performance indicators (KPIs) for the LMC sector, in order to ultimately drive investments in the sector. The purpose of the framework is to illuminate impact pathways that link investments in LMC enterprises to positive development outcomes. 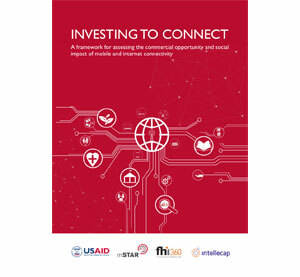 The paper builds on the existing literature pertinent to impact measurement in the connectivity sector and lays out a set of business, outcome and impact metrics that can be used by enterprises and investors to tangibly measure and articulate the anticipated commercial value and positive social impacts of connectivity. The approach to develop this framework involved extensive research, stakeholder interviews and feedback from an expert advisory panel. Publications from a wide range of organizations and journals were reviewed as part of an extensive literature review on the impact of mobile and internet connectivity in the development context. 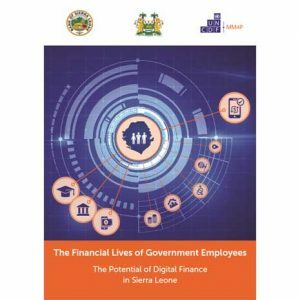 Over 30 stakeholders with expertise in areas such as investment, technology and enterprise models related to LMC provided insights to guide the development of the framework. 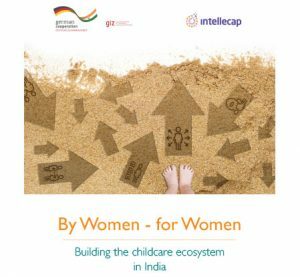 An advisory panel of experts reviewed a draft of the report to offer early feedback and incorporate suggestions for inclusion. A comprehensive list of possible business performance indicators for LMC enterprises was determined, reviewed and proposed for inclusion. From this list, eight core business indicators have been identified. These indicators have been proposed on the basis of their potential to enable LMC enterprises to objectively measure performance and engage investors. In addition, a list of outcome indicators has been proposed. These outcome indicators will enable LMC enterprises to articulate the positive social impacts of connectivity. The proposed core business indicators and outcome indicators can be found in Section 4: Core Indicators. Together, these two sets of measures comprise the KPI framework referenced throughout this paper. 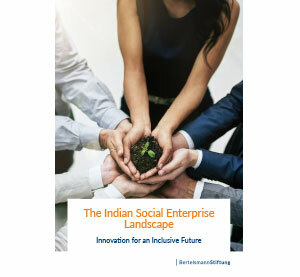 India is one of the most dynamic social entrepreneurship environments globally with an estimated two million social enterprises. 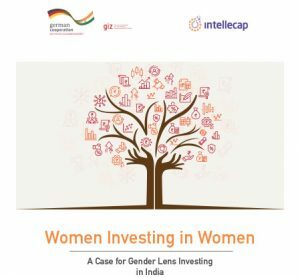 A vibrant start-up community as well as sustained interest and support from impact investors in India and the world, have resulted in hundreds of projects providing access to basic services and making dramatic changes in the lives of millions of Indians. The Bertelsmann Foundation mandated Intellecap to undertake research and develop a report that provides insights into the social enterprise landscape in India. This report focuses on seven sectors based on their contribution to the Sustainable Development Goals. 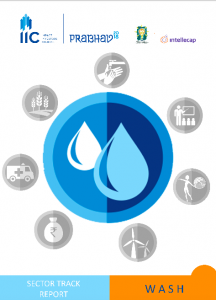 The sectors are Agriculture, Clean Energy, Education, Financial Inclusion, Water, Sanitation and Healthcare. 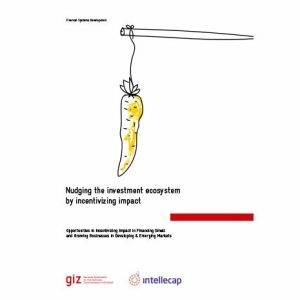 The report starts with portrayal of the social entrepreneurship ecosystem with the key stakeholders and their focus areas. Then it deep dives into the seven chosen sectors, highlighting policy initiatives as well as start-ups working on meeting the SDGs in their sector. 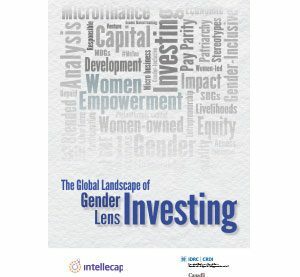 Finally, it exhibits the key trends for the sector, from both an entrepreneur’s and an impact investor’s perspective in the coming five to ten years. 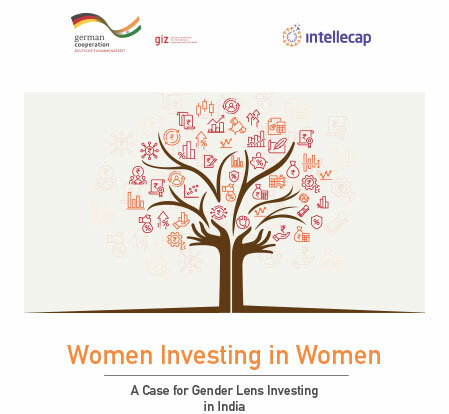 Since the research is conducted for a Germany-based foundation, the recommendation section focuses on how India and Germany can cooperate to create a mutually beneficial partnership. 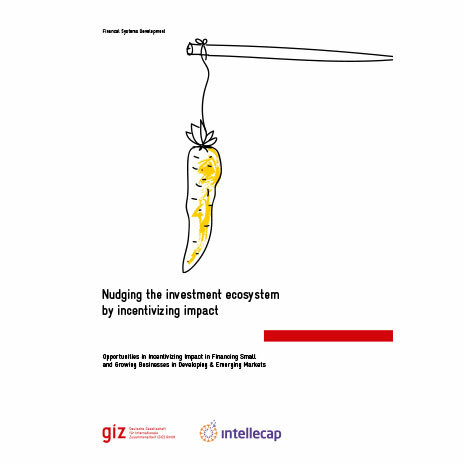 This report will help policymakers identify key interventions, help impact investors fine-tune their sectoral focus and help social entrepreneurs tweak their value propositions. 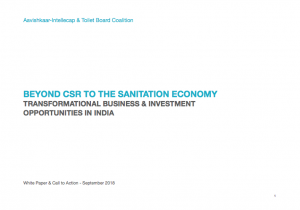 This report launched in partnership with the impact investor’s council (IIC) at an event called Prabhav in India, critically assesses the water and sanitation ecosystem for the gaps in capital support across the value chain. The report highlights the impact potential of WASH entrepreneurs and makes a case for impact investors to step in the WASH sector. creating favourable economics that attract commercial investment. 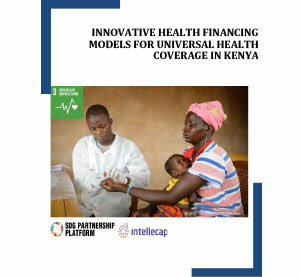 about human health and behaviour that will attract commercial investment and contribute to sustainable economic growth. In this model, the public sector benefits from private sector expertise, and the private sector sustainably engages in the development agenda through relevant, appropriate commercial constructs. Responsibility. 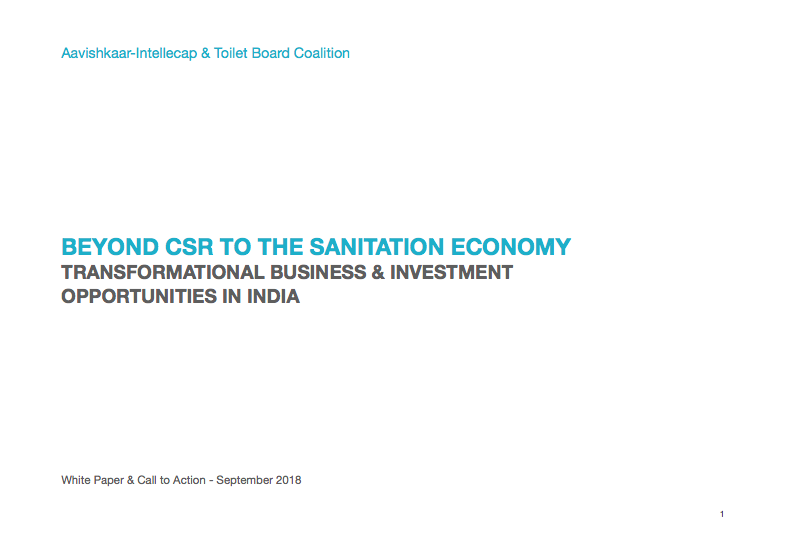 We are calling on Indian businesses, entrepreneurs and investors to build the Sanitation Economy in India. Promoting high impact enterprises and achieving good returns on investments made will require sustainable on-the-ground partnerships with multiple stakeholders. opportunities. India has the opportunity to lead the way, to address this market failure, and showcase the potential of the Sanitation Economy.